CREA, an architecture studio based in Porto, was born out of the experience of friends whose professional paths were different yet orbited toward the same vision. Starting in 2014, with restoration taking the lead role among its projects, CREA’s architectural practice ranges various types of scales and purposes: the studio has been in charge of private residential designs and also significant institutional projects. Bandora is an AI platform which correlates all data generated in a building and returns real time settings, in order to help facility managers to achieve up to 40% of energy savings, increase occupants comfort, environmental awareness and social engagement. Bullet Solutions develops scheduling and timetabling software. The company’s leading product ensures the real-time automatic class scheduling for more than 100 Higher Education Institutions over the world. Bullet Solutions’ scheduling and timetabling platform can save Institutions up to 90% of the effort and cost associated with the manual and complex processes of scheduling classes, students, rooms or staff. 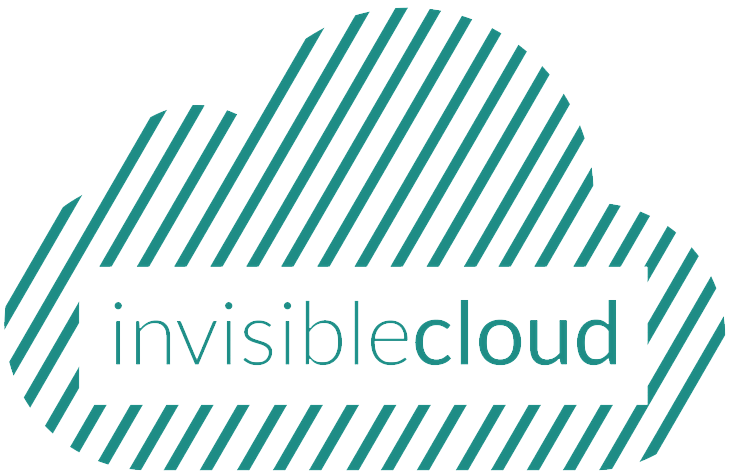 Invisible Cloud is a startup founded in 2016 that develops integrated software solutions. Presently it provides a solution called Invisible Collector that, by harnessing the potential of AI algorithms it allows customers to manage up to 100% automatically their receivables. In parallel it also provides a digital marketing platform that allows users to send SMS, emails and voice calls automatically to their clients and partners, contact validation and database rental fully compliant with GDPR. A rheINforce Optimal Performance, Lda. pretende explorar comercialmente uma tecnologia desenvolvida pelos seus sócios fundadores, Francisco J. Galindo-Rosales e Laura Campo-Deaño. Esta tecnologia permite desenvolver novos materiais (como por exemplo cortiça ou silicone) com propriedades mecânicas personalizadas e otimizadas para a aplicação onde vão ser utilizados, quer seja para amortecimento de impactos, vibrações ou ruído. MitoTAG develops targeting systems to deliver antioxidants to mitochondria in order to protect them from the damaging effects of oxidative stress. This platform technology has applications in diverse areas, namely: as active ingredients for anti-aging cosmetics, active principles for the treatment of liver and neurodegenerative diseases, as well as supplements for animal feed. Parli is a free online language learning app. Our method combines a storytelling strategy - in which the city plays an important role creating a meaningful and motivating learning experience - with articles that meet the user's interests and language level. Parli's main goal is to offer a quality learning environment, allowing anyone to learn a new language, regardless of their economic background. Smartex is a engineered solution, based on Computer Vision and IoT, to help textile fabric manufacturers improve production yields, by reducing defective production close to 0% and providing quality management software, suitable for Business Intelligence analysis. Snood Foods is a food start-up focused on the development of pulse-based products with an incredible balance between taste, indulgence and nutritional content. Our mission was to add a dash of charm and pleasure to unusual and nutritious ingredients and to create products for consumers that meet their nutritional needs without having to compromise on taste and help them achieve a healthier lifestyle. Oko is dedicated to creating and selling new technological solutions which scan and automate content creation and news creation processes. Always an innovative company, OPT was one of the first Portuguese companies to deploy R&D projects tackling the operational planning process of passenger transport operators. OPT develops advanced IT solutions for this activity sector with a special focus on optimization (resources and/or processes) and management. OPT’s activity in the operational planning knowledge area also includes consultancy linked to process reengineering and optimization or consequence analysis on human-resources company politics changes. Codavel (formerly Streambolico) has created a technological solution to improve mobile apps performance, allowing them to become faster and more robust to the inherent instability of wireless networks. Based on a technology developed in U.Porto, Bolina SDK will help any company that wants to significantly improve the experience of its mobile users, since it makes data transfers up 2 to 3 times faster than with the current solutions. This improvement will also allow for the reduction of the necessary infrastructure and, consequently, the decrease in management costs. Addvolt is a technology company committed to solving problems in sectors where the potential of reducing fuel consumption has a great impact. The company developed the 1st Plug-in Electrical system targeted for transportation markets that allows transportation companies with refrigeration units to use electrical energy to reduce diesel dependence, the level of noise and the CO2emissions during its operation. AddVolt creates high and positive impacts on the driver’s quality of life, while it contributes to have eco-friendly vehicles. 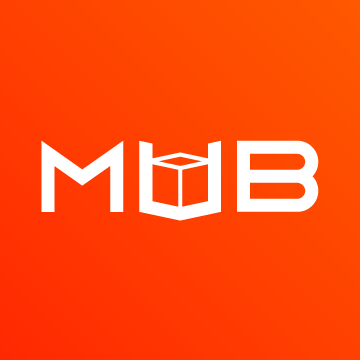 MUB cargo is an online platform that connects people and companies that need to transport cargo with a network of transporters willing to pickup and deliver those items. For transporters, MUB cargo gives access to an online platform with several cargo requests in order to maximise their capacity in use, taking advantage of the average 30% wasted capacity on every trip that is made. For people and companies who need to transport any cargo, MUB cargo provides an easy way to access transportation solutions at affordable prices. 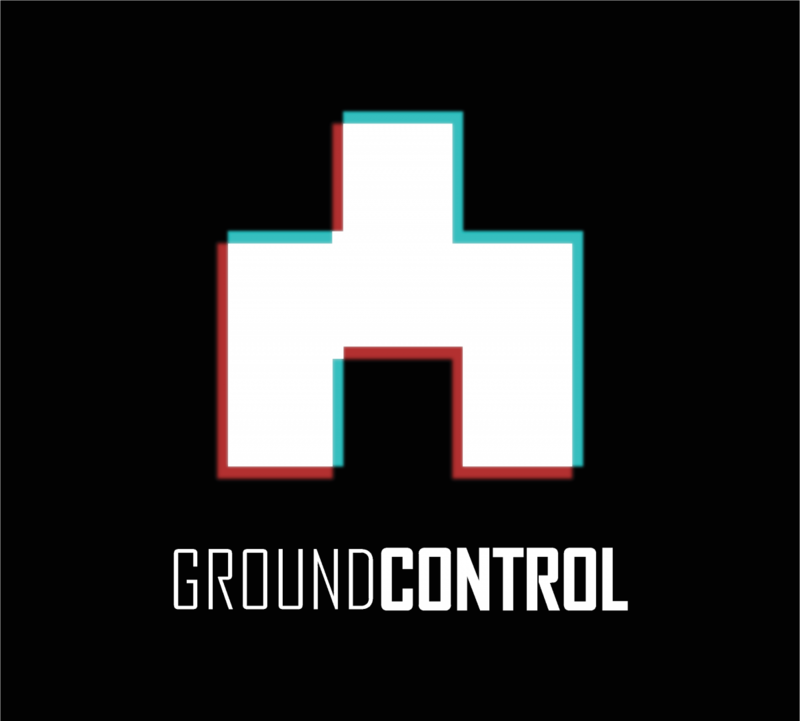 Ground Control Studios is an award-winning company, pioneer in Virtual, Augmented and Mix Reality (VR/AR/MR), their clientele and projects are of a variety of sectors such as Tourism, Retail, Real Estate and Management. SUMMARY is an architect studio with headquarters at the University of Porto’s Science and Technology Park (UPTEC). With both an experimental and pragmatic approach, their activity is centered on the development of pre-fabricated and modular solutions, with the goal of optimizing costs, time and resource-usage in construction processes. Among the many projects this studio has developed, the Gomos system is the most significant, a modular concrete construction system which allows for the construction of buildings with a high structural resistance in a short time-frame. LAST2TICKET develops and sells event management software. Their mission is to use na innovtive technology to simplify promoters’ activity and last-minute purchases for the general public, through an online ticket sales software. Learn Bright is a startup that is dedicated to intermediating the relation between students and tutors through an online platform (Explicas.me) which allows the booking of tutoring sessions, divided by subject and showing all relevant information (price, distance, rating, among others). LTPlabs is a boutique analytical-driven management consultancy company, providing highly customized solutions to its clients. LTP mission is to help its clients to achieve significant and sustainable improvements in their performance, by combining advanced analytics with business expertise. ShopAI wants to provide artifiical intelligence services to support online retailers and e-commerce websites across the board. Hype Labs is the company that created the Hype SDK, an interoperable mesh networking software that improves connectivity on all kinds of devices, from mobile to desktop to IoT, allowing them to connect even when there is no internet. The software works by intelligently connecting devices in local mesh networks using existing connectivity technologies, such as Bluetooth, Wi-Fi, Lora and others. This network enables content to securely hop between devices, until it reaches a destination or an Internet exit point, improving range and deliverability. Mobility Now has developed a technology solution for event planners called "beamian". It is a solution that allows the identification of visitors to events in a digital form, but with a physical identifier. It has a great implementation in the market of the University Employment Fairs, since it allows the digitalization of the process of sharing your CV during the fair, as well as in the sector of the Professional Fairs, promoting the exchange of contacts and commercial information without resorting to paper. It has also been applied in several corporate events and congresses, for the modernization of the process of check-in and control of attendance in sessions, as well as in music festivals for the control of accesses and expenditures of visitors and staff. 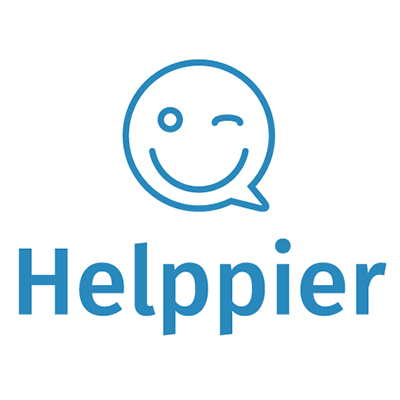 Helppier is an online help tool that allows you to create step-by-step interactive guides, without programming and easy to update. These guides provide users with a better online experience by helping them navigate and perform tasks on a self-service basis, without leaving the software or website itself. The goal of the company is to change how people view user manuals by promoting the application of this technology to all companies that want to monetize time and resources as well as improve the user's online experience. Visblue ApS is a company that develops, produces and sells custom energy storage solutions based on redox flow batteries and their control system. Visblue Portugal, held by Visblue Aps, was founded in 2017 to develop and produce vanadium redox flow battery modules. 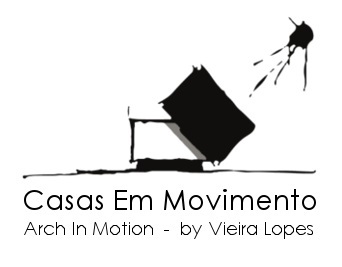 Casas em Movimento is a company specialized in creating buildings with dynamic spaces. A new concept of Living Architecture is incorporated and the technologies used allow the creation of buildings that can spin 180º and photovoltaic covers that tilt up to 90º, creating shading to the windows during the Summer and exposing them during Winter. These are dynamic spaces, adapted to the needs of users, and can be controlled by them, for example, through a smartphone. Fluidinova is a company specialized in the production of nanohydroxyapatite and tricalcium phosphate, marketed under the nanoXIM brand. Under the highest quality standards, these products are aimed at a global market, more specifically for the medical devices industry, oral health and nutrition. Adhara is dedicated to the commercialization of products in the field of medical education, assistance to medical practice and training in the health sector, that contribute to the acquisition of knowledge and decision making by the various health professionals. At Global K, new teaching methodologies to give the medical community better academic and technical/scientifical results are developed, refined and delivered. Steptutor is the companies' main product. SEER is a company specializing in building coatings (roofing, facades and interiors) whose mission is the design and implementation of the most durable and sustainable solutions on the market. Its performance is based on a relationship of trust and loyalty to its clients, based on a deep knowledge of available technologies and of the buildings in which it is intended to intervene, be they new or existing. Trenmo Engenharia SA has been dedicated since 2005 to the design of networks, enhancing the value of the territory and producing solutions for the organization of public transport and mobility. Its target market is mainly national, but with a global component mainly in the transition economies, seeking to work with public transport operators, transport authorities, local and regional government and also investment promoters. Strongstep is dedicated to consulting, training and certification of companies in their software development and services. The target market is mainly global, being made up of technological companies that develop solutions or provide highly technological services. Xpectraltek is a technological company that develops solutions in spectral imaging, thus increasing the perceivable field of vision beyond what is visible (ultraviolet (UV) and infrared (NIR)). Its solutions can be applied in Heritage (diagnosis and monitoring of cultural heritage), Agriculture (pest monitoring, hydration levels and nutritional needs of plants) and Industry (real-time quality control for production processes, identification of defects in materials and monitoring their homogeneity). GEMA is a creative technology company, particularly focused on creating interactive and immersive experiences. This company combines technology, audio visuals and creativity to develop solutions such as video mapping, 4D rooms, immersive environments, holograms, virtual reality, augmented reality, audio / videoguides, games, interactive installations and multitouch applications. The target market is global and currently the company is present in Portugal, Brazil, England and Mexico. Huub is dedicated to the supply chain management of brands that operate in the fashion market worldwide. For this, it uses a technological platform, the Spoke, that supports and creates a visual display of the whole operation for the client, enabling him to focus on the creation and sale of collections. Biomode is an innovative company in the biotechnology field, where the core activities are focused in the research, development and the commercialization of rapid diagnostic kits based on Peptide Nucleic Acid FISH technology for microbial detection in food and clinical samples. The company’s initial focus is to certify its food products with the North American certification entity – AOAC. Two of its products, Probe4Monocytogenes and Probe4Cronobacter, are in the final stages of certification and another - Probe4Salmonella –is expected to enter the process quite soon. LabOrders (developed and marketed by PetriDish Software) is an online order management platform for laboratory material that brings together suppliers and scientists on a single site. LabOrders catalogs more than 3 million products with prices validated by suppliers. The target market is mainly national, being constituted by Colleges, Universities or Research Institutions. ADVANCED CYCLONE SYSTEMS, S.A., now called ACS, is dedicated to the commercialization and development of industrial filtration equipment based on cyclonic technology. From Cyclone Hurricane to ReCyclone, mechanical and electrostatic systems, ACS has introduced a range of innovative and efficient fine particle capture solutions to the market, with the benefits of being maintenance-free and allowing a wide range of applications in the fields of pollution control and ​​product recovery. MAPIS - Mapping Intelligent Solutions is a consulting firm in Geographic Information Systems (GIS) which uses both scientific knowledge and GIS technologies to find the best solutions for you, your company and city, through useful data. At MAPIS, everything has its place.The company currently has business in the strategic planning, climate risks prevention and public health domain, supported in GIS has an essential tool for diagnosis, reflection and decision-making. It analyses integrated support solutions for public and private entities for issues relating with territory and with a systemic vision and a clear goal to improve quality of life and well-being. 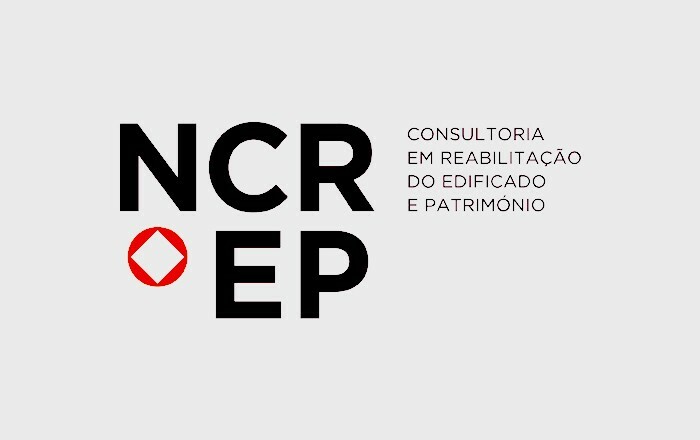 NCREP - Consultancy on Rehabilitation of Built Heritage, Ltd. provides consulting, diagnostic, inspection, monitoring and design services in the rehabilitation / reinforcement of buildings. Its activity is based on the knowledge and experience accumulated by its founders over more than 15 years of technical and scientific activity in this field. The company's performance follows the latest international trends, proposing projects that minimize the impact on constructions, a compromise between functionality, safety and safeguard of the building. With over 10 years of experience in industrial production and quality management software, Flow technology allows sustainable and fast decisions, so companies obtain greater competitiveness and profitability levels. Foodintech is a pioneer developing MES (Manufacturing Execution System) development for Industries. With Flow Manufacturing, industrial managers can increase final product quality, ensure traceability and reduce industrial costs. SYSADVANCE is a technology-based company, developing and manufacturing equipments for on-site gas separation and supplies integrated solutions for gases and compressed air, such as N2, O2, Medical O2 and O2 VSA Generators, Biogas, He, H2 and SF6 Purification, as well as custom engineering solutions. Since its foundation in 2002, as a spin-off from a Porto University, the company has experienced significant and continuous growth, as a result of its customer satisfaction oriented strategy as well as its superior technology and reliability of the products and technologies delivered. With highly qualified technical personnel, SYSADVANCE strives to deliver state-of-the-art technology to its clients in more than 40 countries, in different industries and sectors of activity. IPBRICK S.A. is a software manufacturer and vendor specialized in Enterprise Communications solutions, with headquarters in Vila Nova de Gaia, Portugal. IPBRICK solutions are designed to operate On Premises but mainly in Private Cloud and in partnership with local Data Centers, covering the most important areas of Enterprise Communications: Unified Communications, Mail&Groupware, Document and Process Management, and Enterprise Social Network. Its technology is present in 5 continents, with over 270 partners. Adyta is is aiming to promote specialized security solutions fitting the needs of sovereign institutions that deal with sensitive or classified information and large business groups. The company’s is in the area of secure communications through innovative solutions tailored to each client. The spin-off, created in 2015, has over 50 years of experience across its cofounders in the field of computer security, cybersecurity, information systems management and data protection. The team has often worked with the National Security Office, National Commission Data Protection and the Attorney General's Office. Connect Robotics offers a drone delivery service. The drone automation technology was initially developed during one of the founders PhD program, at U.Porto Engineering Faculty, and the business started to take shape thanks to the incubation at the UPTEC and funding from ESA BIC Portugal. Being an U.Porto spin-off gives us the trust and credibility needed to move on with this disruptive innovation. DiDiMos can be used to radically enhance many digital experiences including VR, gaming, messaging, digital marketing and social platforms. It is only when we trust and believe in something that we experience personal engagement and fulfilment. Traditional digital interactions lack the emotional empathy to make this happen. Didimos change this by bringing a different level of personalization to your digital world. The company strongly believes that soon everyone will have a Didimo in their mobile devices and social networks, and we won’t remember what it was like when we did not have it... And most software and apps will be designed to use these. Abyssal S.A. develops integrated Subsea Navigation Solutions for Remotely Operated Vehicles (ROVs) in the Oil & Gas, Marine Renewables and Underwater Mining industries. Its aim is to enable offshore and onshore O&G personnel to obtain relevant and accurate real-time information and to perform safer and more efficient ROV Operations thus decreasing the likelihood of incidents, accidents, and associated costs. 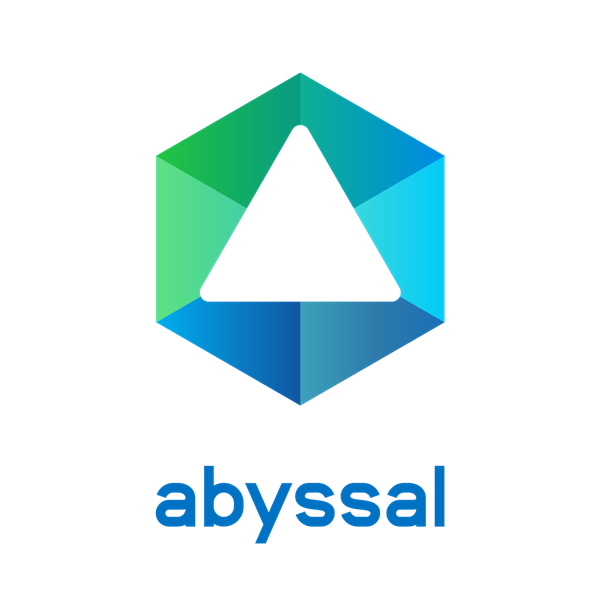 Backed by their close relationships with the industry, the expertise of their team, the continuous R&D activities and their commitment to provide their customers “vision in depth”, Abyssal is able to provide state of the art solutions. 3Decide is all about Making Business Visually! Applying visual technologies and contents is key for a new generation of business tools, from the Marketing and Sales perspective to the Management. Create impressive Mobile/Kiosk Applications, powerful Intranet Tools or immersive Online Experiences with the right combination of KPI Dashboards, Advanced Diagrams, Maps, 2D Floor Plans, 3D Models, 360º Videos and Photos, or whatever hi-tech visuals you need. From simple turn the key solutions to complex tailor made platforms, we can help you go visual! Jumpseller is an e-commerce platform that allows any person to sell online easily, both through the online shop or social media. Jumpseller offers an integrated online store with several payment methods, in addition to inventory and invoicing software. Jumpseller’s team has strong technical skills in e-commerce, besides a wide background network in integration of local transport and logistics operators, costumer support in multiple languages and relationships with payment gateways in each country, like Easypay and IfThenPay in Portugal. The company’s clients are mainly located in Mexico, Chile, Colombia and the USA. OSTV, LDA is a media company specialised in content creation for all digital platforms. OSTV launched Canal180, a Cannes award-winning television channel dedicated to arts and creativity, targeted to the new creators of the world, available on cable, web and mobile. Canal180 broadcasts some of the most original and innovative video content in the world, from music to design, through a global network of collaborations. Partnerships include some of the most reputable art institutions, music festivals, cultural events, and global media outlets such as Pitchfork and Archdaily. 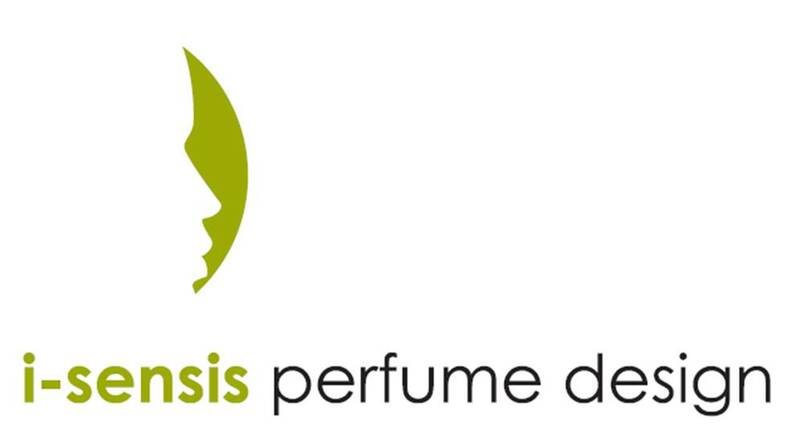 I-SENSIS PERFUME DESIGN specializes in the creation of personalized fragrances according to the clients’ needs. These fragrances can then be applied in a olfactive marketing strategy, either by producing turn-key, private label perfumed products such as perfumes, candles, etc or by professional scenting of spaces using patented technology. The main market is Business 2 Business. Thermosite specializes in the development of budgeting software for end customers and also in the distribution of air conditioning products. The company's target market is mainly national, and covers both end customers and installers and distributors, interested in buying air conditioners, heat pumps, water heaters, among others. TONIC APP SA is a company specialized in the area of digital mobile health, for safe and dedicated communication between doctors and professional health content. The target market for the spin-off is mainly European and Portuguese-speaking countries, consisting of both end-users, doctors and intermediaries: hospitals and other health organizations. NEOSCÓPIO S.A. develops software products and custom software using an AGILE method approach developed in-company specifically to use Open Source Software components, focusing on code quality. Neoscopio is IT-MARK certified (software development) and also government project PT2020 certified for Innovation and R&D projects. With 10 years (2017) in the market, Neoscopio has a vast offer of products and services already configured, like: Rapid development and CI - Continuous integration (NeoDevel), Intranet building and integrating other existing software solutions (NeoContent), Project management software (NeoWorking) focusing on team management, communications, files and document repository with version control, powerful and easy to use workflow engine, for email/sms/etc alerts, approval path, etc. Neoscopio market focus is in medium/large corporations, Universities/Research centres, other medium/large Institutions that need adaptive and integrated solutions capable of acomodate fast change, or continuous integration. Running Photos is an online platform fully integrated with the systems of sports event organizers that allows: athletes (professional, amateur or occasional) to easily access their photographs - consultation and / or acquisition; companies to promote and activate their brands, products and services in an easy and low cost way, maintaining an association with emotionally significant events. Running Photos generates win-win scenarios from any perspective: athletes have access to their photos easily and inexpensively; organizations have a premium service at no cost or risk, with additional revenue generation and increased visibility of their events; companies and marketing agencies get a new way to activate and promote their brands with a cost model very similar to Google and Facebook ads, ensuring a greater emotional connection and lower costs. Currently the solution is ready to migrate to other sports, namely in Football, with Match-Photos. MEDIDA - Medicine, Education, Research, Development and Evaluation Services LDA acts in the development, evaluation and distribution of products and services for people with chronic diseases, especially for respiratory or allergic patients. The company's target market are healthcare providers and pharmaceutical companies. Currently, the company focuses in developing m-Health technologies, namely in sound and image processing from cell phone sensors for the monitoring of respiratory pathologies. Its main projects include a mobile application to increase uptake of inhaled asthma therapy (INSPIRERS), CARAT (Control of Allergic Rhinitis and Asthma Test) and CARATKIDS questionnaires, used in more than 20 languages, and a support system to clinical decision that helps the interpretation of exhaled nitric oxide (FENO) values. MEDIDA, LDA results from the accumulated experience and research developed by its founders, over the years, in the context of CINTESIS and the Faculties of Medicine and Sciences of the University of Porto. 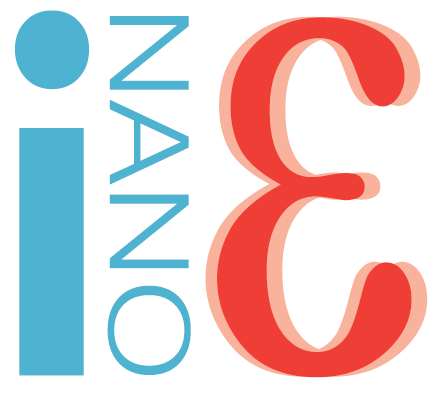 InanoEnergy is dedicated to the development, prototyping and production of energy harvesting solutions for the internet of things based on nanogenerators that convert wasted energy into electricity. This spin-off was born in the Department of Physics and Astronomy of the Faculty of Sciences of U. Porto (FCUP) aiming the national and international markets. MASDIMA LDA dedicates itself to the production and commercialization of a multi-agent system for the management of irregular operations in the operational control centres of the airlines and all related services. The company's target market is global, and includes airlines and consultants that serve as distributors and solution integrators. Since the beginning of 2014 the promoters of the project have been creating knowledge in the area of ​​Artificial Intelligence and Machine Learning. Recently, they have made some partnerships with the airlines TAP Air Portugal, KLM Cityhopper (KLC), Emirates, Qatar and Air Baltic. 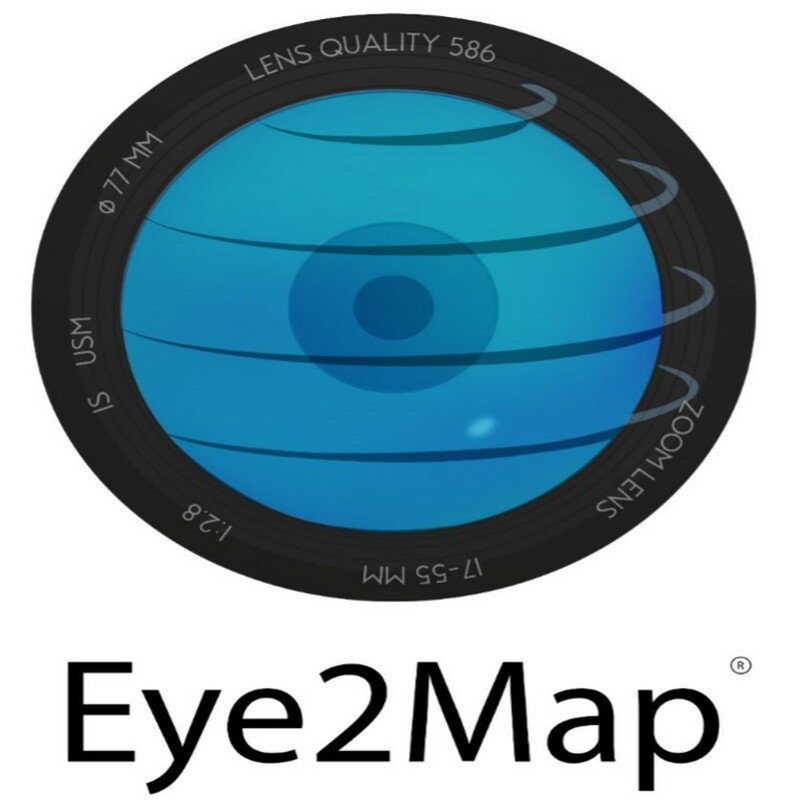 Eye2Map is a drone-based air mapping service provider. Their services are characterized by the collection of information with sensors on board drones and their respective data processing. The results of this processing are summarized to geographic information products and can be useful for Topography, Cartography, Registration, among others. Eye2Map had its genesis in the work developed by its promoter, within the scope of the degree in Geographical Engineering (Faculty of Sciences of the University of Porto). InnovCat is a technology based spin-off focus on the research, development and commercialization of heterogeneous catalysts and functional materials. X-CAT, an heterogeneous catalyst for biodiesel production, is one of their products on pre-industrial and pre-commercial proof of concept. 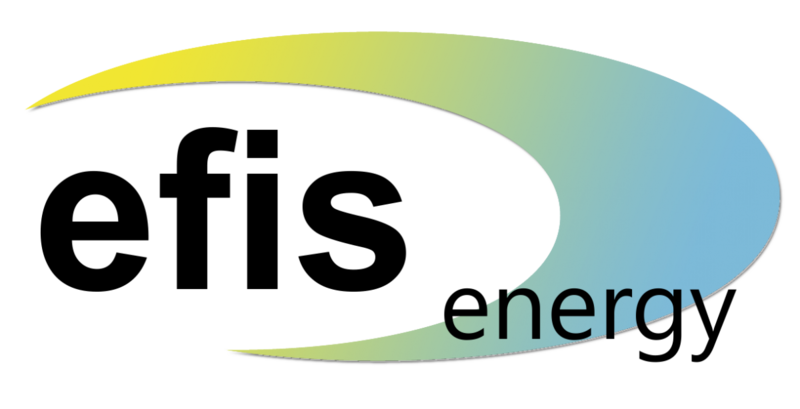 The company also provides services and consulting in the world market of heterogeneous catalysts, including scale up optimization from laboratorial to pilot and pre-industrial scale, and in the development of new industrial processes for biodiesel production and bioproducts from biomass valorisation. The market for this spin-off, whose origin is associated with the results from research developed at the FCUP, University of Porto, is global, including countries such as USA, Canada, Spain, France, Asian countries, among others. IDEIA.M is a product design and strategy company. It generates innovation through design and engineering, applying creativity tools in the process of developing new products or services. Intervenes in several sectors of activity, from aeronautics and autonomous platforms to medical devices and consumer goods, through the musical instruments, in this case, through the AVA brand. Created in 2008, it has always maintained a very close and profitable relationship with the University of Porto, through several organic units and UPTEC, where it is currently installed. Gisgeo Information Systems specialises in Geographical Information Systems and sells web software products and services that capture, store, analyse and display geo-referenced data. The services provided by this spin-off include, among others, Portal do Clima (the Weather Portal), created by The Portuguese Institute for the Sea and Atmosphere, I. P. (IPMA, IP) and the Áreas de Acolhimento Empresarial (business hosting areas) service, created for the Comissão da Região Norte (the Portuguese Northern Region Commission). Gisgeo is also present in the Spanish, Angolan, Mozambican and São Tomé e Príncipe markets. IS4H - INTERACTIVE SYSTEMS FOR HEALTHCARE is dedicated to marketing customised engineering systems based on interactive technologies and on evaluation and development consulting for interactive systems. Their interactive auscultation systems are used in several hospitals in Portugal and Brazil. The company has always regarded research work as a unique opportunity to undertake business, and the founders of IS4H have acquired their vast experience in U.Porto entities such as FCUP, FEUP, CINTESIS and IT. Venture Catalysts specializes in the creation of scientific and technological startups and, in this sense, is dedicated to support all activities from fundraising to scale-up. The companies resulting from its activity are already responsible for the creation of more than 30 highly qualified jobs, mostly formed in the U.Porto. Thus, Venture Catalysts sees U.Porto as one of the main ecosystems providing human resources to compose the companies they help to form. For the spin-off, the human resources represent a very important factor for the success of the projects, reason why they intend to reinforce in a constant way the relation with the University of Porto. Fibersail is dedicated to manufacturing and selling an SHM (Structural Health Monitoring) disruptive system for critical structures, initially targeting the industry of wind power devices. The company’s goal is to work together with designers and manufacturers to help reduce the costs of renewable energies by streamlining and optimising the creation of more efficient wind turbine blades. Collaborating with U.Porto’s Faculty of Engineering gave the company a competitive edge and brought valuable R&D results to both parties. Immunethep is a biotechnology company born in the Abel Salazar Institute of Biomedical Sciences (ICBAS). This U.Porto spin-off is currently developing immunotherapies to fight bacterial infections. Immunethep is developing the only anti-bacterial vaccine that covers several bacteria, including bacteria known for their resistance to antibiotics: Gram-negative (E. coli and K. pneumoniae) and Gram-positive (S. aureus, S. pneumoniae, GBS). The vaccine is intended to prevent infections caused by these bacteria in the overall population but with a major focus in risk groups, for example, patients undergoing surgeries, elderly, diabetic and newborns. 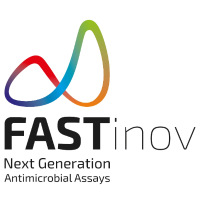 FASTinov is an R&D-related start-up born in the academic context of U.Porto’s Faculty of Medicine. Its patented technology makes it possible to perform antimicrobial tests much more quickly than using today's methods, in a highly accurate and much more informative way. "With this technology, we will be able to identify the primary resistance mechanisms of the microorganisms, which is fundamental to understanding their transmission, designing new therapies and ensuring safe and timely treatments to prevent mortality", says CEO Cidália Pina Vaz. 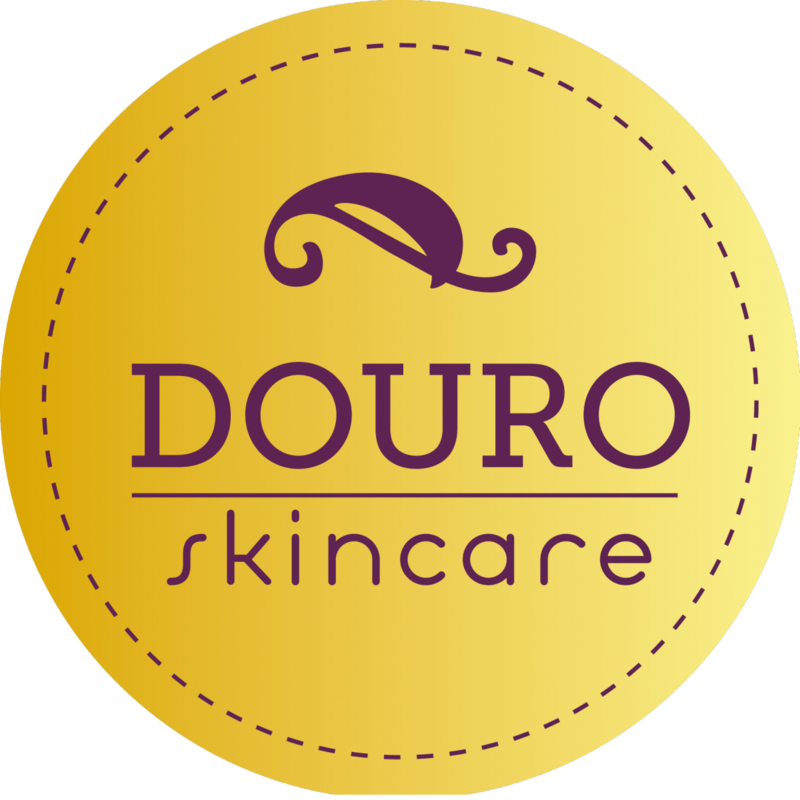 Douro SkinCare manufactures and sells perfumes, cosmetics, hygiene and pharmaceutical products. This spin-off has introduced a new market concept called “Cosmética de Fusão” (Fusion Cosmetics), which combines plant extracts and synthesised ingredients in the same formulation, maximising the effects of the products on the skin. Since its creation, Douro SkinCare has been working in close collaboration with the Department of Chemical Engineering Research of U.Porto’s Faculty of Engineering. VirtualCare - Systems for life was born in the Department of Community Medicine, Health Information and Decision (MEDCIDS) and specialises in medical science. The company sells health products such as VC AnesthCare (a medical record for anaesthesia that can be used by physicians, nurses and administrative staff), VC BreastCare (for mammary pathologies), VC ObsCare (for clinical and obstetric records), VC PsychCare (for the prescription and administration of long-acting antipsychotics) and also provides consulting, clinical research support, online courses and in-company training services. Digital Flow - Innovation & Gamification was created in 2009 to answer the needs of companies and public entities regarding the modernization and digitization of procurement processes. To meet this challenge, Digital Flow developed skills and innovative methodologies that were subsequently applied to the management of business innovation processes. Currently, Digital Flow specialises in creating tools, based on gamification, which allow for the development of added value approaches to innovation and entrepreneurial processes with important clients and projects within companies and universities. Sphere Ultrafast Photonics is devoted to the design and manufacture of proprietary, high-performance ultrafast laser technology. The company was founded in September 2013 by Hélder Crespo and Rosa Romero, from the University of Porto, and by Anne L'Huillier, Miguel Miranda, Cord Arnold and Thomas Fordell, from Lund University, Sweden. The project was born in the Department of Physics and Astronomy of the Faculty of Sciences (FCUP), fostered by many years of research and development in the fields of ultrafast optics and photonics. Sphere’s team is dedicated to ultrafast lasers and to new solutions for their measurement and control, offering unique products that not only improve the performance of femtosecond laser applications but also enable accessing new regimes of laser-matter interaction at unprecedentedly short timescales. Metablue took its first steps under the Masters in Innovation and Technological Entrepreneurship (MIETE). After the masters programme, the founders studied various technologies from the University of Porto and decided to embark on the development of a medical device that allows for the early diagnosis of otitis - the OTITEST. Metablue is dedicated to the commercialisation of medical devices, such as the Otitest, the Lipowise and the Digital Laryngoscope. HealthySystems provides information and security technologies for healthcare. They are growing sustainably and looking to patent some of their products and move towards internationalisation. Luís Antunes wants HealthySystems to be "regarded as a trusted third party (TTP - Trusted Third Party) in key areas of information and security technologies" and believes that the U.Porto Spin-Off seal was a very important step towards that. He adds that "the success of HealthySystems in the first year has far exceeded our best expectations." MICE - Moulds and Injected Components Engineering is a company dedicated to thermosetting and composite materials engineering. Ricardo Santos considers that the credibility associated with U.Porto's name is the most important feature of the spin-off status, enabling the company to "show that MICE's technologies come from the cutting-edge research produced in the best university in the country". According to this representative, the U.Porto’s spin-off status establishes credibility, "MICE still needs some development work, and the association with U.Porto is very important for us". The company is now seeking new customers to enhance MICE's reputation and visibility in the production of parts. Veniam's platform moves terabytes of data between vehicles and the cloud. Today, Veniam offers Mobile Wi-Fi and data solutions to fleets worldwide. The combined experience in deploying and operating mesh networks of connected vehicles in cities like Porto, Singapore, and New York has given Veniam critical insights into how the future full of autonomous vehicles will evolve. With more than 80 patents, Veniam’s platform combines multi-network architectures, smart (and local) data management, and most importantly, low-latency fail-safe vehicle-to-cloud platforms that provide scalable and superior quality of experience. Clearly, a key requirement for mobility-as-a-service providers and their no-longer-driving customers. Veniam enables mesh connected vehicles to be a lot more than machines that carry people and goods from one place to the other: Veniam mesh connected vehicles expand wireless coverage and gather massive amounts of urban data for a myriad of smart city applications. Veniam was Founded in 2012 by world-class technologists, João Barros and Susana Sargento, and the Co-Founder of Zipcar, Robin Chase, and Zipcar CTO, Roy Russell and currently has offices in Porto, Mountain View, New York, and Singapore. Leonel Ramos and Hugo Gonçalves are the minds behind Efisenergy. In 2010, the duo won the business model contest of the University of Porto (iUP25k). Leonel Ramos believes that "the facilitated access to departments within the University of Porto for collaboration within R&D projects is one of the biggest advantages" of the Spin-Off U.Porto seal. Currently, the company is concentrating on engineering serviçes and construction sustainability. Sysnovare creates, develops and implements Innovative software solutions aimed at adding value to its customers’ businesses. Rui Santos believes that "the fact that Sysnovare is a Spin-off of the University of Porto surely opens many doors". Especially focused on Academic management, Infringement management and Human Resources management, Sysnovare has implementations in Portugal, Brazil, Angola and Cape Verde. Inovapotek is devoted to providing R&D services to the cosmetic, pharmaceutical, medical devices and food supplements’ industries. In January 2010, it was the first company that sought to obtain the U.Porto Spin-Off seal due to recognized merit and scientific excellence of the University of Porto." In its 9th year of activity inovapotek works with clients all over Europe, the United States, Canada, Japan and Australia, and continues to invest in its internationalization. EACT ERGO+ACTIVA works with businesses and institutions to change and improve working behaviours, postures and environments. The company provides training and services based on ErgoCoaching – workplace Ergonomics through the practice of concepts of ergonomics, coaching, physical exercises and compensation and / or application of the principles of preventive physiotherapy. The methodology of this spin-off is ground-breaking in terms of transforming and consolidating healthier and more ergonomic habits, postures and movements. EACT was created in FADEUP (Faculty of Sports of the University of Porto), which in turn supported the company early on and, together, they have developed relevant know-how in the fields of Physiotherapy, Exercise and Ergonomics, giving EACT ERGO+ACTIVA a competitive edge in the market and making it a pioneer and reference in the areas in which it operates. Based on an architecture of values closely linked with the natural environment, Eco³ (Ecocubo) develops solutions that allow the sustainable exploration of the territory, with a low environmental footprint. The sum of these values results in a physical hub that privileges the use of local and ecological products such as cork, a 100% natural and national product, providing the essentials to maximize people´s experience of complete immersion and closeness with nature. Eco³, the face of nature that invites the user to benefit from a unique experience. TOPDOX specializes in the continuous development and commercialization of a platform for collaboration and access to files and documents, aimed at business mobility. The technology created enables access to file infrastructures within enterprises without the need for VPN access and from any mobile device or integration platform. Having a global scale as a target market, TOPDOX has a strong presence in the US, a market where partnerships have recently been established with companies such as Dropbox and Atlassian Inc. These will allow the development and integration of the technology developed in the solutions already in the market.